Stenciling with Kraftin Kimmie Inks! Welcome back everyone! If you haven’t heard the exciting news yet, Kraftin Kimmie Stamps released their own line of ink pads! 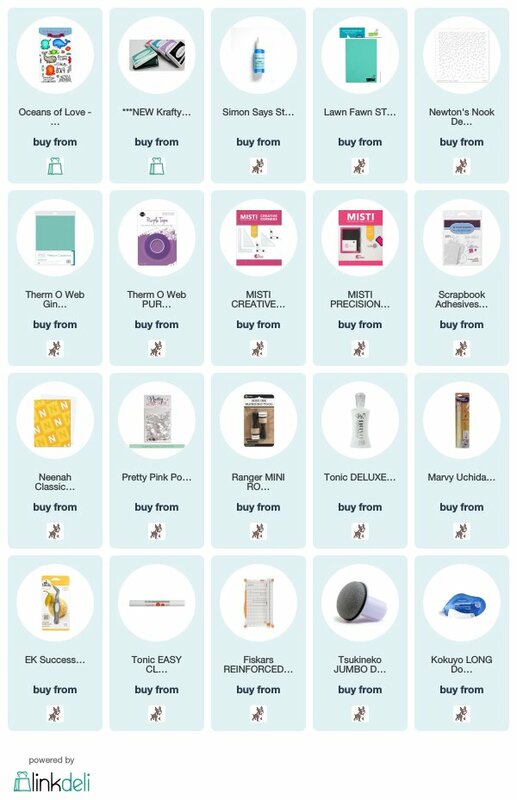 Be sure to check out my post from yesterday and visit the store to scoop yours up! Today’s card is doing some basic stenciling with one of the fabulous colors. I’m starting off with some Turquoise Sea cardstock and ink blending Mermaid Melody using the Bubbly Stencil. This ink looks amazing on this cardstock! Then I trimmed it down to 1 1/2″ x 4 1/4″ to fit across my cardbase. 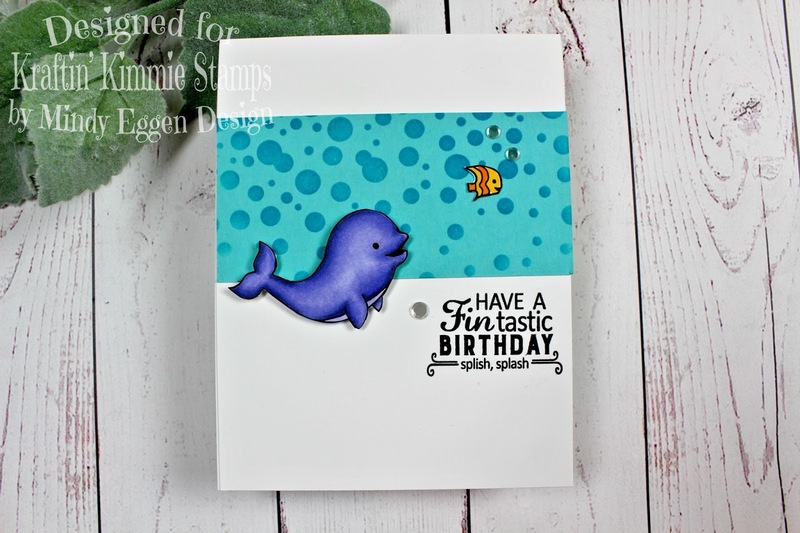 I stamped my images using the Oceans of Love stamp set onto some Neenah white cardstock with the NEW Wicked Black ink from Kraftin Kimmie Stamps. Then copic colored the images. Yes – this ink is copic friendly and holds up to my layers of ink lol. I fussy cut each image out and set off on the side. 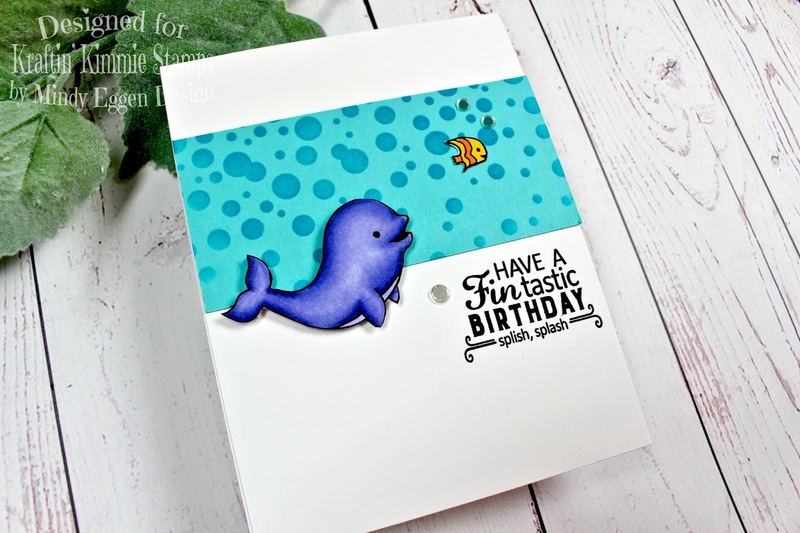 I stamped my image onto the cardbase using my Misti Stamping tool and Misti corners. Then I adhered my critters onto the card with foam squares. I added a couple Sparkling Clear Confetti for some added interest. I also have a video up taking a look at the inks and my process for the card. You can view it down below or HERE on my Youtube channel. 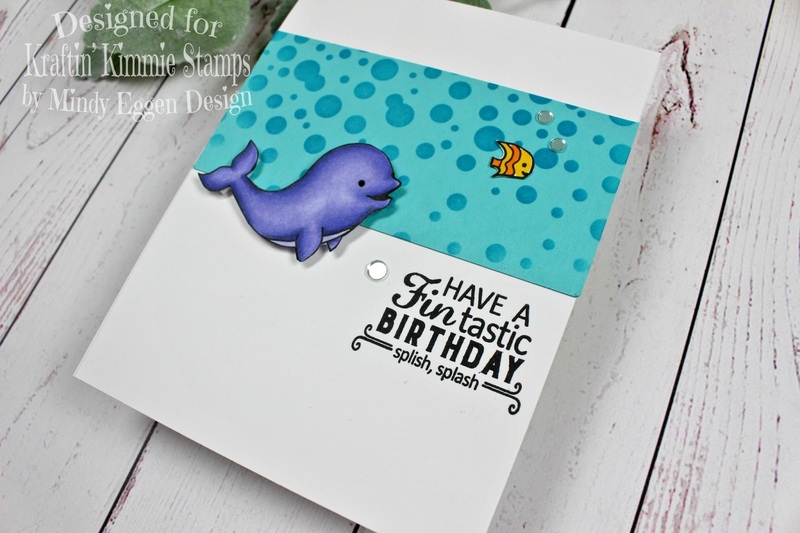 Exciting News from Kraftin Kimmie Stamps! Pink & Main – Drive By Crafts!